Experts say that consumers can be tricked into eating certain foods without really knowing what they include. That's the subject of Reader's Digest's latest cover story, "50 Secrets Food Manufacturers Won't Tell You." 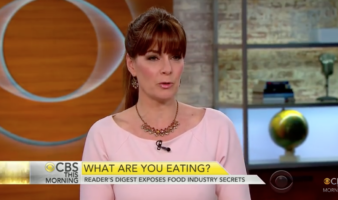 The magazine's editor-in-chief Liz Vaccariello joins "CBS This Morning" to discuss some of the big surprises.